The Ohio Public Employees Retirement System Board of Trustees (SERB) has appointed AFSCME Local 2415 President Randy Desposito to fill a vacancy on the 11-member board. 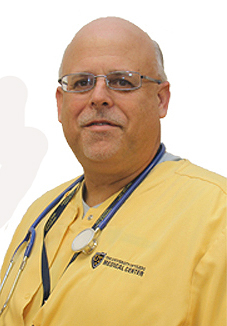 A Critical Care Nurse and long-time member of the union for University of Toledo Medical Center Employees, Desposito will represent non-teaching State College and University employees on the board’s governing body. “I am committed to the long-term survival of our retirement system and will work to make sure it continues to provide meaningful benefits to career public employees,” Desposito said. The Board is responsible for the administration and management of OPERS. Board members also authorize the investments made with the system’s funds. They receive no compensation for their service to OPERS. He joins AFSCME Local 3360 Cleveland MetroHealth President Julie Albers, former Ohio Council 8 Dayton Regional Vice President Ken Thomas, and AFSCME Local 11/OCSEA President Chris Mabe on the board. Desposito will stand for election to the board in 2018.